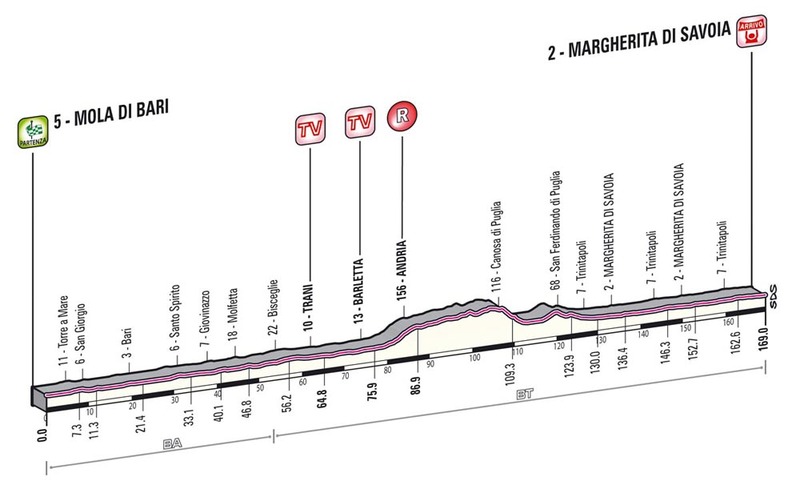 After the start in Naples, this is the next stage that should produce a bunch sprint. It races mostly along the Adriatic Sea from Mola di Bari to Margherita di Savoia, starting and finishing more or less at sea level. The stage turns inland in Barletta and offers the only difficulty of the day. The road rises to 160m but it is insignificant enough that the organisers did not bother giving the climb a mountain classification. 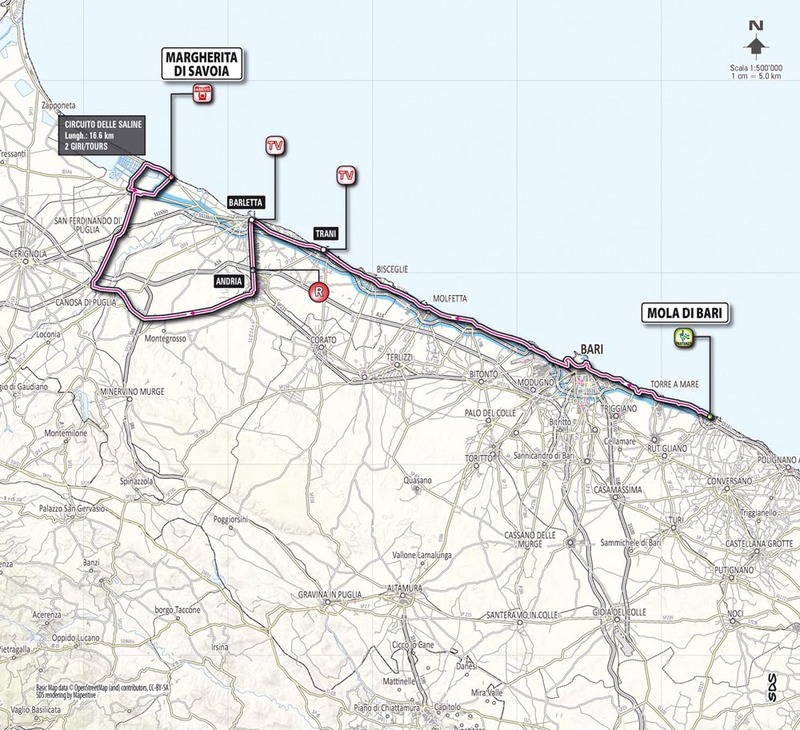 Omega Pharma, Lotto and the other sprint trains will power full-speed towards the coast, where Margherita di Savoia will host a finish for the first time. In town, they will race one circuit of 16.1km around the coastal lakes. The coastal lakes were formed by periodic flooding. When they dried, salt was left behind and used for food storage. The salt production grew from there to become Margherita di Savoia’s biggest industry. Sprinkle a little on a dish of orecchiette con cime di rapa (pasta with broccoli), one of Puglia’s staple dishes.